Twin Mother Vocabulary | How Do You Do It? My only children are identical twins. My entire experience of motherhood has been filtered through the lens of the monozygotic twin experience. 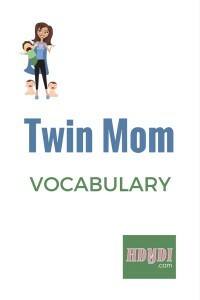 I’ve noticed that my twin perspective has had an interesting effect on my mommy vocabulary. There are phrases that other parents use without even thinking about them that I use differently because of our family’s very special dynamic. When I was first pregnant, I once made the mistake of referring to the growing life inside me as “the embryo”. My (now ex) husband was appalled and insisted that I should refer to our little one as “the baby”. Of course, we didn’t know until 17 weeks into the pregnancy that we were having girls, and I was worried about offending my husband by referring to the baby as “it”. As soon as we learned we were expecting twins at 7 weeks, that eliminated the issue altogether, since I could just use the pronoun “they”. A funny thing is that I find myself referring to friends’ singletons in the womb as “they”, even after the gender is known. It’s not that I don’t know that they’re having one baby. It’s just that “they” feels like the right pronoun for any person while still in the womb. My friend Julie and I were close throughout my pregnancy, and she said that she found herself referring to her son as “they” in utero. She credits me with that particular quirk. My daughters have much in common, but many, many differences in personality, preference, and strengths. Still, I often find myself referring to them as “they” and comparing and contrasting them. Talking to their teacher about one child, I found myself including tidbits about the other. I think it’s that I’ve trained myself to be fair to the point of not wanting to devote more sentences to one twin than her sister. Right until I went into labour, I thought of water breaking as something that happened to the mother. “My water broke” says many the American mother when narrating her birth story, or “the midwife stripped my membranes”. In the UK, it’s “my waters broke”. My daughters’ birth (more on “birth” below) gave me an altogether new perspective. The first sign of labour was amniotic fluid leaking from me, but we would soon learn that it was only Twin A’s inner sac that had ruptured with the twins’ shared outer sac. In fact, Twin B was born en caul, or with her amniotic sac entirely intact. When I tell my birth story, it’s not “my water” that broke, but rather my child’s. When I hear others tell of the births they’ve experienced or witnessed, I flip the metaphor in my mind to make the membrane belong to the newborn, not the mother. This is certainly because of the very unusual birth circumstances the three of us shared. Neither girl ever tires of hearing how she and her sister was born, and even had me tell their birth story to the school principal’s daughter, so now says, “Good story!” to me every time she sees me darkening the school halls. I think of both my girls as laying equal claim to the title of Firstborn. The way I see it, they came to be in the same miracle of conception and were, for some period of time, a single body. Sure, one exited by C-section two minutes before the other, but I don’t see that as making her older. Perhaps I would have felt differently if I’d had the vaginal birth I’d hoped for. I know that for most parents, the idea of an older and younger sibling is the most natural one in the world, but I cringe when the world applies that concept to my girls. One of my daughters agrees with my worldview on this point, while the other does not. I find myself going back and forth between referring to my daughters’ birth(s) as singular—”their birth”—or plural—”their births”. They share a birthday, of course, and parts of a birth story, a womb, DNA, and so much more, but they are altogether different people. They touch the world in different ways. When I focus on my experience of their birth, is feels like a singular event. When I look at the results of that experience, these two vibrant light beams of people, I can’t help but think of the two girls’ birth as being separate events. My mind can’t contain the concept of so much wonder coming from a single birth, and I find myself calling it “their births”. To my daughters, it’s all so simple. They were born together. Whenever they talk about, it’s “our birth”. Nine years afterward, though, I still can’t quite believe what our bodies did. Do you find simple concepts to be complicated by the multiples experience? 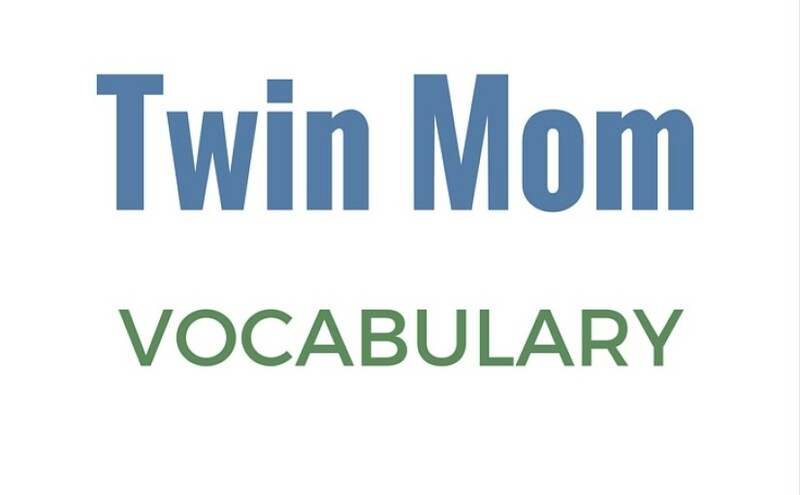 Or am I alone in overthinking my twin mother vocabulary? 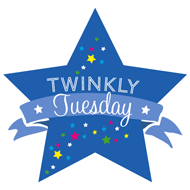 It was the same for me too – twin A’s Amniotic fluid was leaking and twin B was perfectly fine and would have gone on for at least some more time. (If I let it) It does bother me sometimes that she was yanked out without anything going wrong with her stay in utero – Oh well! The way the human body performs in tandem to develop the pregnancy and then the delivery is amazing. In my case the first one was delivered vaginally and the second via c- sec. This was interesting! I always say “they” when other people are pregnant, too, just out of habit. But, I never thought about “waters” breaking (probably because neither of my kiddos did, and I had a scheduled C-section), or birth(s). I think I generally say “the kids’ birthday” when referring to their birth story. Good food for thought! Interesting point about “birth” versus “births”. I guess I don’t use that phraseology very often. I’m not sure where I would fall…but now I have to think about it! MandyE recently posted At Long Last…VACATION PICTURES!! !